Sheet masks have been HUGE over the past 12 months but never had I heard of (let alone tried) a foot peel sheet mask until I was kindly sent this one by Skin Republic. I was intrigued to see just how the Skin Republic foot peel worked and keen to get my feet super soft before my holidays so couldn’t wait to trial it. Sunday mornings are my main pampering mornings as I usually stay in my loungewear until mid morning with a face mask on, so what better time to kick back and relax with this peel on? 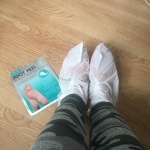 The packet itself is the same sort of size as any other sheet mask but instead of a microfibre cloth soaked in the liquid being inside, it contains two little boots. The boots themselves have a plastic exterior (think bin bag material) which then have the microfibre sheet mask inside soaked in the mask/ peel. As the boots have a plastic exterior, the liquid/ product remains contained inside the boot so you can still move around and do your usual household jobs. I personally put a pair of thick socks on over the top as I have laminate floors in my house and would have been sliding all over otherwise! After two hours you then remove the boots, wash the product off your feet and within 7 days the dead skin will naturally peel off your feet. I found that it took around 10 days for this to happen for me, but that my feet felt a hundred times softer immediately after removing the mask. Around 2 weeks after using the Skin Republic foot peel I had a spray tan and my feet looked horrendous. Despite looking softer and there not appearing to be any patchy skin on my feet pre-tan, after my tan had been applied the patching on my feet and around my ankles where the mask had been was terrible. So if you are planning on using this mask before an event or a holiday, Id say do it a good 3 – 4 weeks before if you intend to use fake tan. The foot peel contain Alpha Hydroxy Acids (AHAs) which soak into your skin removing calluses, rough and dead skin. It also contains Salicylic Acid which is an active liquid exfoliant. My daily facial skincare routine has both of these active ingredients in so I am quite aware of their power and benefits, but if you are unfamiliar with either of them then one thing I must stress is that they remove dead skin cells exposing newer skin underneath so you must protect your skin with an SPF after using them. The packet recommends using sunscreen for a week afterwards just to prevent any sun damage or burning. The peel also contains 15 different plant extracts (including ginkgo biloba, green tea and vitamin e) which are designed to intensely moisturise and leave your feet feeling super soft. I personally found that after removing the boots and washing the product off my feet immediately felt softer and smoother. 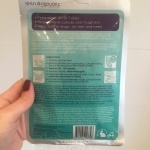 You can buy the Skin Republic foot peel for £9.99 from Superdrug, Fenwicks, Look Fantastic, Amazon, Beauty Expert, Fragrance Direct and HQ Hair and whist this may seem a little pricey for a single use mask, I wouldn’t envisage you needing to do one more often than every 2 – 3 months. 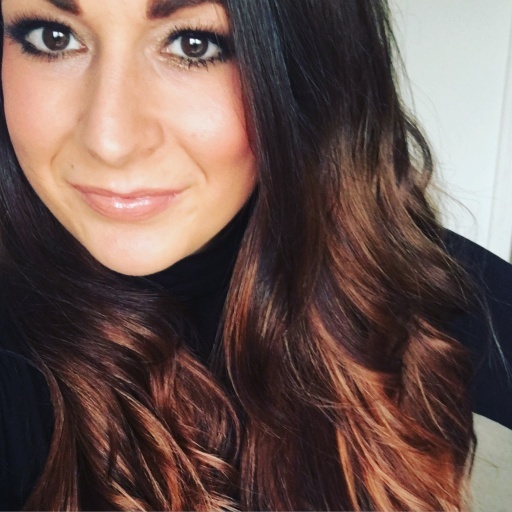 I personally think it is a much easier alternative to a pedicure and is something you can do from the comfort of your own home without having to think too much about it.